Chaffey et al., 2009 describe digital marketing as ‘achieving marketing objectives through applying digital technologies’. These digital technologies include Internet media such as web sites and e-mail as well as other digital media such as wireless or mobile and media for delivering digital television such as cable and satellite. In lay man’s terms, digital marketing is about building a connection with your customers using your website, email, apps, mobile phone, search engines, videos and many other options. Anyone can create a basic digital marketing campaign but it pays to know exactly what you are doing or use a good agency to assist you. Located on Exchequer Street, MusicMaker is one of Ireland’s leading music stores & distributors. Using Ansoffs 1957 positioning matrix we can see that MusicMaker is following a differentiation approach and has positioned itself as the “Rock Institution” by offering excellent customer service, working with local business, supporting new & aspiring musicians through album launches or gigs, running a music school for teenagers and providing top quality equipment to festivals and gigs. This differentiation is seen in both their tradition offline marketing, online digital marketing campaigns and social media. “Music Maker” is known for showcasing upcoming musicians at its monthly social event held in the Mercantile pub in Dublin, these are promoted via social media such as Facebook, and Twitter. But the company is not just a bricks & mortar store, they are part of a vibrant music community having embraced social media and digital marketing. MusicMaker’s digital marketing efforts are lead by marketing manager John Paul, who work closely with many local businesses such as Phantom FM, Millets, Lemon & Coffee Co, Submarine bar and the Grand Social. They also maintain a presence at independent festivals such as Electric Picnic. Music Maker holds true to its brand values of supporting musicians and uses both its store and its social media to remain in contact with customers. The team have seen the value of targeted digital marketing campaigns and community building via social media (Facebook, Twitter, MySpace) versus traditional mass-market media such as television or radio advertisements. Ghosh (1998) suggests that companies should provide free digital value to help build an audience, John is aware of this and provides interesting & engaging music related content via Facebook & Twitter. While time consuming, it appears to be a labour of love as John is a former musician and customer himself. • Improved targeting & segmentation of audience. • Clear monitoring of its effect such as email click through rates. • Results can be recorded & analysed. • Quick adjustments to marketing efforts can be made. • Links you socially to your audience. Given the companies digital marketing budget, effective targeting is critical. John is impressed with the level of accuracy and segmentation capability when running Facebook advertising campaigns as he can target customers on multiple criteria such as age, location, gender and even based on what groups or interests a customer has “Liked”. MusicMaker advertise using radio & magazine but carefully select their channels. For example, a large & expensive national radio/magazine campaign may be heard/seen by a huge number of people but would not be favoured when compared to a smaller and more targeted digital marketing campaign that has a higher likelihood of generating sales and awareness among MusicMaker’s target audience. The MusicMaker Million Euro Sale has been a long-standing tradition, started in the 1980s and now spreads virally online. This year over 300 people queued for amazing deals such as 60% off the price of instruments and equipment. The event is announced via social media & email marketing four weeks before the event. Local businesses are then involved with competitions, announcements, sponsorships and prizes. The sale is more than a way to generate extra revenue; it is a unique way for raising awareness among the music community, customers and other businesses & venues. An important part of any customer experience is good customer service. Given the growth of online retailing and increasing pressure to reduce pricing, John is a great believer in competing on the intangibles as MusicMaker has used its customer service as a way to differentiate itself. It is important for MusicMaker to hire staff that are not only good at selling but are genuinely interested in music. A recruitment drive open day was held in 2011. This saw 200 people appear and deliver a sales pitch to MusicMaker’s own staff. Over its 30-year history, MusicMaker has lived through the 1980s recession and embraced modern forms of digital marketing and the use of social media. John is optimistic about MusicMaker’s future, given its continued commitment to musicians and local business. It appears that with continued skill and creativity, MusicMaker will remain known as Dublin’s “Rock Institution”. • Create a competitive advantage by offering value to customers such as creating an online community. • Resist the urge to attract & retain customers with reoccurring price discounts. • Traditional forms of advertising still have a place in society. But, if you are a small business, marketing on a shoestring, try using Facebook advertisements, Google Adwords, and content writing for search engine optimisation (SEO). • Cooperate with local business and suppliers who may initially appear unrelated to your business. Run competitions and offer price promotions via coupons, loyalty cards or referrals. The blog was contributed by Robert Farrell. 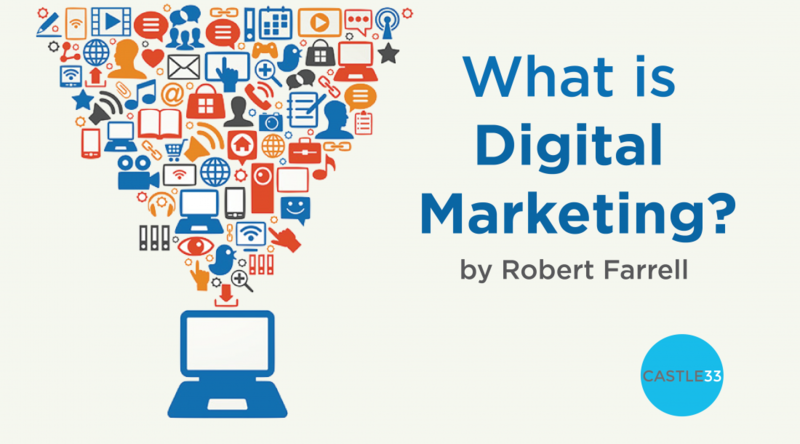 Robert is a marketing professional and has delivered training around Ireland. He is a part time lecturer on Dublin Business School’s marketing programs, an advisor to small business owners and a judge for the Eircom Spider Awards 2014.